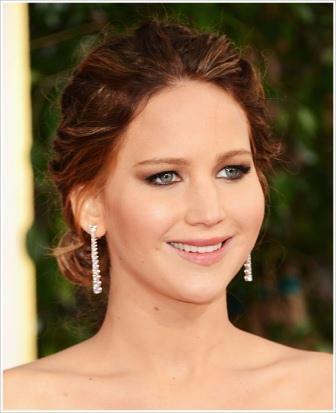 This year’s Golden Globe makeup trends range from natural beauty to statement shades. Recreate some of the best looks with the talented teams at Newport’s Apothecary, ArchBeauty, Cosmetic Cosmos and more. Here’s some popular looks complete with how-to guides just one click away! Entry filed under: Uncategorized. Tags: ArchBeauty Newport ri, Colorscience Loose Mineral Eye Color in Silver Shimmer, Colorscience Loose Mineral Eye Colore in Black Matte, Colorscience Pressed mineral powder, Colorscience Sheer Crème Foundation, Colorscience shimmer bronzer), Colorscience Skin Bronzing Face Primer SPF 20, Colorscience Smoke Matte, Colorscience Teal shadow, Colorscience White shimmer shadow, cosmetic cosmos Newport ri, Elizabeth Arden Beautiful Color Eye Shadow Single in Sky, Elizabeth Arden Beautiful Color Smoky Eyes Powder Pencil in Midnight, Golden globe make-up, golden globes adele, golden globes adele makeup, golden globes beauty, golden globes Claire danes, golden globes Claire danes makeup, golden globes Jennifer Lawrence Golden globe make-up, golden globes Jennifer Lawrence makeup, golden globes Jessica Alba, golden globes Jessica Alba makeup, golden globes Julie Bowen, golden globes Julie Bowen makeup, golden globes Nicole Ritchie, golden globes Nicole Ritchie makeup, Hourglass Opaque Rouge Liquid Lipstick in Riviera, Laura Mercier Bonne Mine Palette, Laura Mercier Caviar Eye Liner in Black, Laura Mercier Crème Cheek Colour in Blaze, Laura Mercier Crème Smooth Lip Colour in Angelic, Laura Mercier Faux Lash Mascara, Laura Mercier Flat Eye Liner Brush, Laura Mercier Kohl Eye Pencil in Black Gold, Laura Mercier Loose Setting Powder in Translucent, Laura Mercier Mineral Illuminating Powder, Laura Mercier Secret Brightening Powder, Laura Mercier Secret Camouflage #3, Laura Mercier Tightline Cake Eye Liner in Black Ebony, Laura Mercier Tinted Moisturizer Crème Compact SPF 20 in Almond, Lip Pencil in Hazelnut Laura Mercier, Newport ri, newport ri blog, newport ri fashion, newport ri lifestyle, newport ri shopping, Newport RI stores, Newport ri style, ri blog.